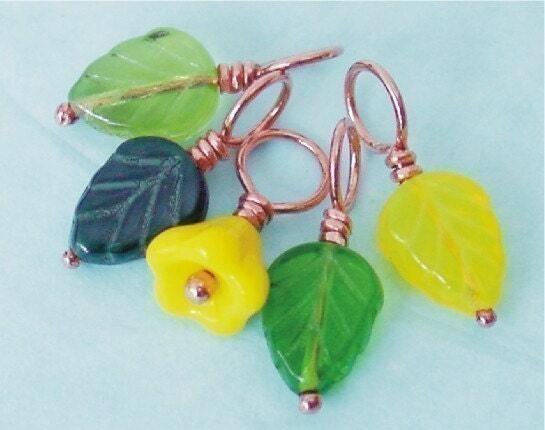 Bright cheerful stitch markers ready to help mark your knitting! You are purchasing (5) Czech glass and handmade copper wire headpin knitting stitch markers, (4) four different color leaf beads and (1) one yellow flower bead. Really love this markers...many thanks!! As always creative and expert craftsmanship and beautifully packaged.😊Thank you for the lovely surprises. They’re too generous. Again many thanks for your terrific shop.